This is an oval Atlanta Biltmore porcelain sign. This particular Atlanta Biltmore sign features a red building on a white background with a blue border. 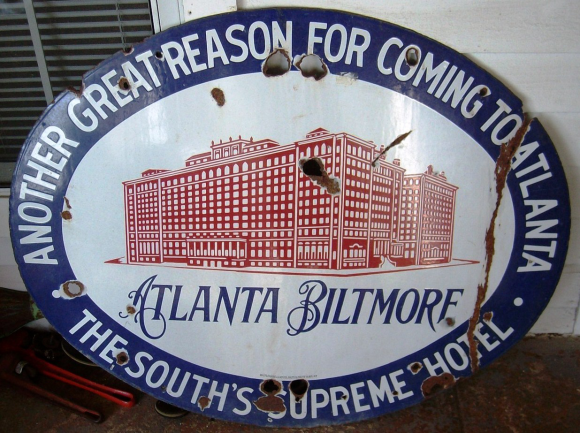 It reads, “Atlanta Biltmore, Another Great Reason For Coming To Atlanta, The South’s Supreme Hotel”.